When I stepped back into the restaurant business in my mid-twenties after nine months as a staff auditor with Arthur Andersen, I thought I was taking the easy road. After years of working in restaurants through high school and college, I had followed my dad’s advice to find a job in accounting. As a career IRS agent, he always told me that an accounting degree would guarantee me a job. But early on in my time as an auditor, I knew my heart wasn’t in it. I missed the energy and community in the hospitality world. What I quickly realized after leaving my accounting job and taking a position as an assistant manager of a café in San Francisco, was that this path was anything but easy. Managing a restaurant staff means managing people whose education, cultural, professional, and language experiences are incredibly diverse. In place of my college accounting degree, I found myself wishing I had an advanced degree in psychology. But, today, as owner of three Bay Area restaurants—Nopa, Nopalito, and Liholiho Yacht Club—those same challenges are what inspire me every day. The opportunity to bring people with such wide-ranging backgrounds together to deliver food and drink and create incredible experiences for our guests is magic. Building a successful team of people who are capable of making that magic happen has become my Purpose. Our most important investment is the time and training we offer our employees; if we do that right, if we develop people with the skills, knowledge, and experience to deliver truly exceptional food service, our success as a business will follow. 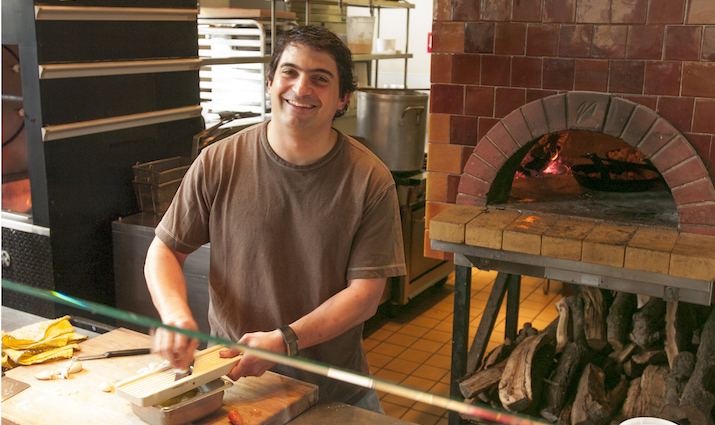 In our restaurants, the process of building that team starts with the way we hire our people. Resumes and past professional experience are generally not the first thing I look at. The fact is, you don’t need a college degree—or even a high school education—to be a great food service employee. If you’re curious and committed, you can learn everything you need to know on the job. So, when I interview a potential employee, I pay attention to how they engage. Do they look me in the eye? Do they shake my hand? I think if you give someone an opportunity, if you look at them not from experience but who they are as a human being, if you give them a chance, you will find people who are as invested in your business as you are in their success. After each interview, we ask each candidate to come in and work a paid shift; after that, we conduct a second interview. My partners and I interview and then provide orientation for every hire in the restaurant. It’s so important that staff know who we are and what we do—and that I know who they are because they are reflecting our attitude toward the guests. As staff step into their roles, we continue to educate and mentor. I don’t want to just teach someone to ring in the food and take the money and go home. I want managers to constantly be listening and educating and feeling empowered to help our employees grow. This approach is reflected in the fact that our employees tend to stay around—85 percent of our managers formerly served as staff. They are happy to come to work, and our guests feel that. They tell us, “everyone who works for you is really nice; everyone really seems to enjoy working here.” I don’t’ think you can pull the wool over your guests’ eyes. If you’re not practicing these things with your staff, you guests will see that. In the daily experience at our restaurants, the effort we extend toward our employees creates great experiences for our guests. And it does take effort—you have to commit to educating and empowering your staff, and your management has to believe in it. It takes time. And it matters every day. My hope is that, in the bigger picture, this daily practice and the way this People First approach is ingrained in our culture will also help employees recognize the opportunity for a fulfilling, long-term career in food service. I want our industry to be viewed as more than a stopping ground—a means to pay for school or provide flexibility. To this end, we provide 401K with a four percent match and medical benefits. I try to impart to staff that this can be a career. Given the changing tip structure and increasing attention among restaurant management to finding middle ground between front-of-house and kitchen pay structure, my sense is that we are going to see changes in how people approach working in restaurants—and how we, as owners and managers, will need to respond. I hope that our continued investment in culture and training will help us maintain success in this changing landscape. At the end of the day, the reality is that profitability for restaurants is slim. I know that my investment in my staff and in developing a culture that empowers happy, fulfilled employees will mean our noncontrollable expenses will be lower. I might spend more money up front, but over the long term, I will have better product, less breakage, and lower turnover—all things that can chip away at the bottom line. Ultimately, everything we do to honor, engage, and educate our staff will make a difference. There is no question that restaurant work is hard work. It’s not the easy road I envisioned when I stepped away from the corporate world—but, for me, it’s so much more fulfilling. I love what I do, and I am grateful for the opportunity to share my passion for food and hospitality with the wonderful, quirky, talented, and interesting people who come together in our restaurants each day. Jeff Hanak is co-owner of Nopa, Nopalito, and LihoLiho Yacht Club restaurants in San Francisco.